MUCH MUCH MUCH thanks to Torlack for his NWN MDL info! Without his info this script could not exist! binary models to ascii and back again. like renaming textures and replacing meshes. that lists all the textures the model uses. 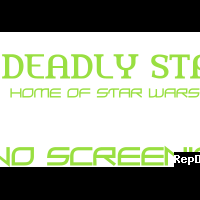 read the tutorials "KotOR_Tutorial.txt" and "Quick_tutorial.txt"
the site owner" can not host this script. as the distribution contains only the files listed below. is at the top of this file. A while back, Darth Tyren was asking me about how the KotOR 2 balances the enemies to make them tougher as you go on through the game. We then spent a few hours running some tests and digging through the files, with the end result being that the game seems to just upgrade the enemies' Hit Points and Force Points. I then theorized that one could use the extra functions Obsidian added for modifying your skills, attributes, feats, and force powers to work up a framework for levelling up the NPCs without actually assigning them levels. This is the result of that work. The heart of this modder's resource is the "fs_level.nss" #include file, where I've one main function called LevelUp and several support functions that will randomly assign feats, force powers, skill points (including support for cross-class skills), and attribute points at the appropriate times and in the appropriate amounts. I've scoured the various .2da files and the all of the default values and rules that the player has to obey are obeyed by the script as well. Also, there are 750 .uti files included. There are 50 for each class, and each item handles the defense, saving throw, and attack modifier increases that a given class would get as they level. These items are not accessible or equippable in-game, as they use the hidden creature slots (specifically, slots 14 and 15). I've shown how to use the #include file in the included "k_ai_master.nss" in the source folder. The compiled form is included in the installation. An installation which involves the TSL Patcher has been made ready for your use and is the simplest and easiest way to carry out installation. You don't have to use the installer if you're just using parts of this or adapting it, but it's an easy way to get it all set up and ready to go. Not exactly a bug, but the two slots I used may very well be used by animals like the Kinrath that have special properties to their attacks. 1: Post your issues in the Bug Reporting Thread. 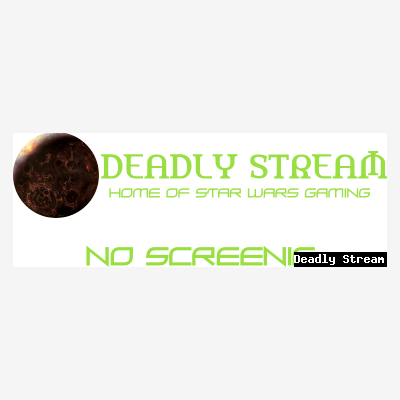 2: PM your issues to Fair Strides at Deadlystream. 2) Send a private message with as much detail as possible of what is occurring in your game. He will likely report back to you within a week. 2) Reply with as much detail as you can provide, and please list (and preferably link to) all the mods you're using. Darth Insidious, Malkior, Markus Ramikin, Darth Tyren, and probably many others who were willing to discuss the topic with me over Skype. Darth Tyren for the initial investigative work and the idea itself. 90SK for some installer help on my Fumble! mod, whose changes.ini file I edited in Notepad for this mod. This mod may be re-distributed, but may not be re-uploaded. I request that proper credit be given to me for making the mod, even if you use parts of the mod instead of the whole thing. I would also like to be contacted before you release your mod. So, some of you may remember my recent "Friendly Droid Kits" mod where I mentioned Malkior and I had been talking about fumbling grenades. Well, things happened, I got bored, and it boils down to "Why not?" The scaling might seem off, but it tries to account for the better-tier items and boosts you get towards the higher levels and takes into account that it should get easier to use grenades over time. Another thing this mod does is restore the Weapon Proficiency, Focus, and Specialization feats for the grenades. I've corrected the TLK entry for the description of the Weapon Specialization: Grenade feat to reflect the actual vanilla contents of the "k_sup_grenade.nss" script. I've also modified the use of the Weapon Focus: Grenade feat, since you don't make Attack rolls with grenades. Instead, the DC to save from fumbling will be reduced by 5 if you have the feat. This version of the mod provides no feedback on the results of your fumble save. The first is whether or not to print feedback to your message log on the results of the Reflex save against fumbling. The second is whether you want to install a version compatible with Shem's SEM - Super Enhanced Mod. Not a bug, but when you fumble a grenade, you won't know until it blows up. This is because the animation and model of the thrown grenade is specificied in spells.2da and takes a predefined course, namely at the person you're targeting. Malkior for play-testing and providing feedback, as well as the initial idea and several talks on the subject. 90SK for doing the majority of the installer for me due to ChangeEdit not liking my resolution. 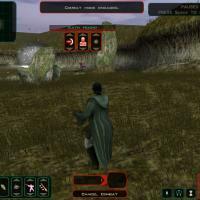 Star Wars: Knights of the Old Republic savegame files. tk102 for originally creating the KSE. Pazuzu156 for reporting the issue with the Cloud saves, as well as helping fix it and setting up a mirror for and creating the auto-updater. Chev Chelios for much discussion of how Steam worked, as well as creating the INI-Generation tool, KPF. Go to your KotOR 2 folder and make a folder called "saves". Due to an unknown bug, the Equipment branch might become unusable. The only fix is to restart KSE. 11/7/13 - In addition, please report bugs to tristongoucher@gmail.com Thank you. - Fair Strides. DISCLAIMER: I did not make ERFEdit originally. I did however receive the source code from Stoffe via PM at Lucas Forums, after telling her about a severe issue that needed to be fixed. I have fixed the issue and am now releasing the updated version of the tool. 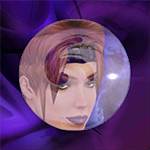 This is a simple Packer/Unpacker/Browser for the ERF/MOD/SAV/HAK/RIM format files used by the bioware engine games Neverwinter Nights and Knights of the Old Republic. The resource type list is updated to handle some types of files used by the KotOR games that were not used by Neverwinter Nights. It is capable of creating new files or modify existing ones, as well as extract any resources found within the file. A simple search feature makes it easier to locate resources in the list within large ERF format files. 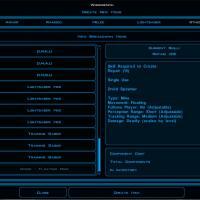 The Description field is currently not shown or editable since it is not used with the KotOR games. You may drag and drop files into the list to add them instead of using the "Insert" button, or you may drag selected files from the list to the Desktop or a Windows Explorer window to extract them rather than use the "Extract" button. Selected files in the list can be deleted with the hotkeys Backspace and DEL in addition to using the Remove button. When dragging many or large files from the ERF/RIM file to the desktop (or a Windows Explorer window), keep the mouse button pressed until the progress bar has reached 100%, then drag the files to where you want them and let go. Hopefully I'll be able to fix this quirky behavior in the future. New files/resources added to an ERF file are not actually added until you Save the file. Do not move, rename or delete any files you have added before you save the open ERF/RIM file, or the resource will not be added upon save. Resources in the list with an asterisk (*) following the ResRef are newly added and not yet saved into the file. These files cannot be extracted until the ERF file has been saved. 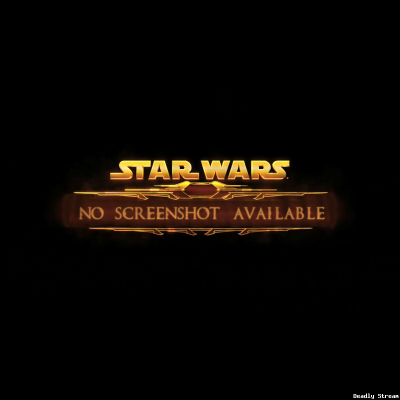 This mod is a request by wedgiey1 on the KotOR Subreddit to show the current effects you're under on the screen, instead of having to guess at the arrows on your icon or go through several menus. This implementation is the best I could come up with, even if it has its quirks. What this mod does is allow you to see the items and force powers that are currently affecting you ("you" being the currently-controlled character), both good and bad. This will only show you vanilla effects, not modded force powers or items, simply because the only way to account for them is manually adding them to the script. WARNING: This mod will not be compatible with something that has the k_hen_heartbt01.ncs file. wedgiey1 on the KotOR Subreddit for making the request. This mod may be re-distributed and re-uploaded, but I do request that proper credit be given to me for making the mod, even if you use parts of the mod instead of the whole thing. This mod, for me at least, started out as an idea back when I was discussing things like fumbling grenades and portable cover with Malkior. It re-surfaced when I stumbled upon and investigated the scripts the floating mines used. Then Khaledm99 on the KotOR Subreddit asked about a mod that would do something similar to what I had wondered about, so I decided to go ahead and give this a whirl. What this mod does is allow you to build a "kit" at the workbenches. This is a one-time-use item that will create a floating mine droid that is friendly to you and hostile to your enemies, a welcome change. The droid can be talked to and given orders to follow you and you can determine how close an enemy can be before the mine will go to attack. The settings are using the normal mine droid behavior as the defaults. The mine droid will not follow you (it will stay where it's spawned) and will target any enemy within 7 meters. You can talk to the droid and pick between three distances: 5 meters, 7 meters, and 10 meters. In addition, if told to follow you, the droid will follow the current party member at all times and will stop following if you enter solo mode. Also the behaviors can be adjusted on a per-droid basis. Vanilla: 1 to ( * 4). A level 10 player could expect a mine to do 1-40 damage. Modified: 1 to ( * 4) + ( * 2). A level 10 player could expect a mine to do 21-60 damage. You have two choices to pick from when installing the mod. The first will simply install the mod and use my modified damage calculation. The second will apply the modified damage to the rest of the mines you'd normally encounter, just to be fair. Malkior for play-testing and providing feedback. Box for discussion of the concept and ideas in the past. Inside this download, you will find several VERY useful tools. Almost all of these were made by stoffe originally and the only alteration I made was to make sure TSL Patcher did NOT check for the presence of the dialog.tlk file to verify the path you're installing the mod to. This was done to allow installing mods to the Workshop folders. 1. ReadMe, really.pdf - A read-me file that really should be read if you want to understand how to do something with the TSL Patcher. 2. nwnnsscomp.exe - A modified script compiler that TSL Patcher uses to substitute tokens (such as .2da row pieces) in source scripts (.nss files) and then compile the scripts. 3. nwscript.nss - As far as I'm aware, the nwscript.nss file from KotOR 2, required by nwnnsscomp.exe to compile scripts. Below are the original release thread descriptions for stoffe's work and I honestly don't think I could put it better than she already did years ago. Insert new branches into DLG files. Install a New Player Appearance mod. Q: I get a RichEdit line insertion error when trying to install mods. What's wrong? A: It seems a few people have odd versions of the RichEdit DLL files installed in their system that doesn't play nice with the colored text box component TSLPatcher uses. To work around this you could try to replace the RichEd DLL files with versions that should work. Extract the two DLL files from this archive and put them in your Windows\Windows32 folder. Move existing files with those names to a safe location first so you can restore them if this causes other problems! Do not overwrite them! Alternatively, if you don't want to mess with your DLL files, you could force TSLPatcher to use a plain text box for status messages rather than the colored/formatted one. To do this, use Notepad to open the changes.ini file found inside the tslpatchdata folder that came with the mod you wish to install. Under the [settings] section, change the value of the key PlaintextLog from 0 to 1. Q: I'm not seeing any Install Mod button, and the text field in the TSLPatcher window seems to extend behind the window boundraries. A: This odd problem some people experience seems to be tied to what screen resolution and pixel density is being used in your monitor settings, but I have been unable to replicate it or figure out exactly what's going on. As a workaround you can "click" on the Install button by using it's quick keyboard command. Pressing the [ALT] keys on your keyboard should start the installation process. Q: When trying to install a mod it complains that it's not a valid installation location. What's wrong? A: Make sure you are selecting the folder the game is installed in, not the override folder, when the TSLPatcher asks you where to install the mod. Q: When trying to install a mod it complains that access was denied to the dialog.tlk file. A: Make sure that your dialog.tlk file is not write protected. This file is found in the same folder as the swkotor.exe binary. To check if it's write protected and undo it, right-click on the file, pick Properties in the context menu and uncheck the write protected checkbox. her bra (and make her waist human). there till it was about right. Sadly, never did manage to re-shape her bra like he wanted it to be. since it showed the most skin. more shallow (felt the vanilla indent didn't look quite right), and then widened her upper arms. That last one was because she's quite fit and muscular by nature, yet her upper arms look pretty flat and weak. Just a simple re-size later and now she has a bit of barely-noticeable muscle on her upper arms. This mod is both compatible with TSLRCM and does not require TSLRCM to be installed. Simply run the TSLPatcher and direct it to your KotOR2 folder. and put that in your Override folder. Malkior and LiliArch for the continual discussion/debate on various aspects of Handmaiden's anatomy (even if it did get a bit weird at times, it was fun ). This mod came about as a way to realistically restore cut content that K1R couldn't restore. So, I had the idea to spawn the entire party (except Bastila and Carth, obviously) in the Detention Block after you're rescued. Here, you can talk to all of the party members, though only Juhani has any new lines here. And right as you leave the Detention Block, all the party members will run off around the corner ahead of you (You did tell them to get their gear and head off...) to get to the Hangar and free the Ebon Hawk. This mod is both compatible with K1R and does not require K1R to be installed! Simply run the TSLPatcher and direct it to your KotOR folder. And if you did NOT have a mod that added/modified a lev_m40aa.mod file in your modules folder, then delete the lev_m40aa.mod file from your modules folder. If you DID have a mod that added/modified the lev_m40aa.mod file in your modules folder, then replace that file with the lev_m40aa.mod file from the backup folder in the same folder from where you ran the TSLPatcher. This is a small and simple mod that allows Visas Marr to wear the Dancer's Outfit you get on Nar Shaddaa when you dance for Vogga. It will also give you the opportunity to have Visas dance for Vogga just before you will acquire the outfit. Simply unpack the mod and run the TSLPatcher.exe to select an install option. To get Visas to actually dance for Vogga, you will have to run the install three times; once to allow her to wear the outfit, and two more times to install both parts of the dancing for Vogga sequence. A small warning about making Visas dance for Vogga: this mod is both compatible with TSLRCM and separate from it. In order to make this so, I've added unmodded versions of the levels I edit with this mod, but if you have TSLRCM installed, these unmodded versions won't be installed and they will give off a warning saying that the file already exists. This is harmless and perfectly okay. Each folder inside the tslpatchdata folder has an info.rtf file that has uninstallation instructions for that particular install option. 1. You do not change anything whatsoever about it. 2. You do not upload it to the Steam Workshop. This mod and the way it is done is not designed for Steam Workshop's way of installing mods. Files actually need to be patched for this mod to work. 3. You give credit to me as the author of this mod and must leave the read-me included and intact. 4. You do not re-use the resources/files involved in compatibility with Varsity Puppet's "Visas Unmasked!" mod. If you wish to do so, you must contact Varsity Puppet at Lucasforums or Deadlystream, and he must say yes for you to use them! 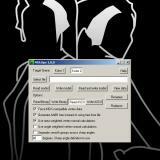 -Varsity Puppet for allowing me to use parts of his Visas Unmasked installer to make the compatibility option. You must download all seven (7) parts of the BoS 1.0 before trying to unpack them. The unpacker should unpack them all in a row if you start unpacking the .part01.rar file!!! The 1.5 bundled release has some bugs fixed, but it is also in preparation for an eventual 2.0 release that will only have 1 installer. This 1.5 release still has both the 1.0 and the 1.1 downloads, so you will need to download both files. Bugs fixed by this bundled release are listed below. This pack includes several fixes for BoS:SR, done by LiliArch. Source files included. You see before you the culmination of eight months of effort, or there about. This is a PUBLIC BETA of a new KotOR Toolset, whose central focus is as a level-editor. This means that the tool's main job is to edit levels, and to go along with this, I've built editors for most of the games' file types: UTC, UTD, UTE, UTM, UTP, UTS, UTT, UTW, ARE, IFO, GIT, and NSS. The Toolset cannot do the following things yet: UTI files, DLG files, anything beyond extracting models, no texture support whatsoever (no viewing, no extracting, nothing), and no support for walkmeshes of any kind (.wok, .dwk, and .pwk). This Toolset should be intuitive and easy to use, or at least that is my sincere hope. I've taken great pains to label mostly everything in layman's terms and also to explain things whenever I can. Most people wouldn't know the amount of effort and time I've put into this project, but it's all I can do to hope that people find it useful, easy to use, and most of all, helpful to new modders. The documentation is rather sparse at the moment, but I hope that I (or any volunteers...) can expand on things later on, as well as continuing development. Lastly, this is a PUBLIC BETA!!! I am expecting bugs and errors, so please by all means report them. Sithspecter, LiliArch, 90SK, Malkior, Dastardly, Logan23, Rece, and Canderis -- Support, advice, and more than a few talks asking for opinions on how something looked, or how best to design this or that piece. Also, most of them helped out in a Private Beta earlier this month. Logan23 -- Initial testing and advice from the perspective of a heavy user. If there's anyone I forgot, please mention it and I will correct this issue. You are allowed to use this program for any use, so long as it isn't illegal and is not for profit. In addition, if you were to produce a mod using this tool, I'd greatly appreciate a mention in the read-me. You ARE NOT allowed to re-upload this program anywhere without my express permission. If I want it up somewhere, I will upload it there myself, thank you very much. 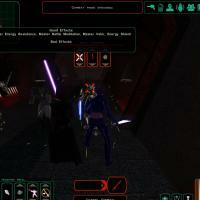 Old Republic and Star Wars: Knights of the Old Republic II: The Sith Lords. in the lower pane containing node-specific information which can be edited. This mod is in reply to requests that the original vulkar coward that you encounter in the Vulkar Base Main Level be put back in, in place of the restored Vulkar we put in his place. 1. Original original, with no K1R changes applied. 2. Original appearance, but with K1R dialog and with English VO as well. 3. Original appearance, but with the K1R dialog and with Twi'lek VO like the original. Simply run the TSLPatcher and select which verison you want to install. Overwrite the tar_m10aa.mod file in your modules folder (from the main KotOR 1 folder) with the tar_m10aa.mod in the backup folder the TSLPatcher will create in the folder it is run from. People for requesting this in the first place. This conversion tool is simply a converter between the standard hexadecimal RGB colour format and the decimal BGR color format. This BGR format is used in the Fog settings and the Tweak Colour field used in the UTD structs in a .git file (though, the tweak colour might be useable in all of the Type structs...). This is an old favorite of many players, and now we've simply made a K1R version that "meshes" better with the game. Though I honestly don't see a difference that broke the old mod with K1R, I did think it could be done in a way that wasn't as jarring. In the old version, Bastila was selectable despite saying that she wouldn't be going. In this version, you can choose to have her available or not. There are only two new player lines and no voice-less Bastila lines. Simply run the TSLPatcher and direct it to your KotOR 1 folder. And replace the dialog.tlk file in your main KotOR folder with the dialog.tlk file in the backup folder made by the TSLPatcher. Knights of the Old Republic and it's sequel, Knights of the Old Republic 2: The Sith Lords. will not interfere in any way, shape, or form with the original module/level. *: For their respective files, of course. Moduel Prefix: The 3-character prefix in the beginning of most of the textures. Module Name: The name displayed in-game for the area. The Game Mode is used to determine the length of the Module Reference for hex purposes. the level using that folder. The second and third buttons are the first button's function split into two. After you're done editing the paths, the Ok button will close the window. and upper-right of the window. The first box has a limit of 16 characters. The second box has a limit of 5 characters for KotOR 1 and 6 characters for KotOR 2. The third box has a limi of 3 characters. The second one in the upper-right is for the actual hexing-process. The Extraction path is for setting the path for where ModHex extracts a level. WARNING! WARNING! WARNING! WARNING! WARNING! WARNING! WARNING! WARNING! WARNING! WARNING! DO NOT CHANGE THE EXTRACTION PATH IF YOU HAVE LOADED A MODULE AND INTEND TO HEX IT!!! PATH, COPY THE MODULE/LEVEL'S FOLDER TO THAT CURRENT EXTRACTION PATH!!! the extraction process and after the hex-editing process. is a .mod file extension on the finished module's file. **: IF YOU ARE USING MODHEX ON A CUSTOM MODULE/LEVEL, THIS _MUST_ BE CHECKED!!! Now the last parts of the Interface. The file viewer allows you to view and interact with most of the files involved. The Models page allows you to view a list of models used directly by the module/level. in the panel on the right. a .wok file from the list and click the "Draw .WOK" button. over several polygons) and then click the "See Face Types" to open another window. Click on the face type you want from the list and the selected faces will be changed. You can leave this window open for future edits. you have the paths entered. The Textures and Lightmaps pages both allow you to view those respective images. module's files. You can do this for individual files as well as by filetype. The last part of the interface is the status bar. Status bar and is used when extracting a module/level. It is designed to "pop up" on mouse-over and to "drop down" after the mouse leaves it. 1. The PTH Editor doesn't support the commandline, so it won't open your .pth files. Instead, you'll have to open those yourself. 2. Occasionally, the Module Prefix isn't set correctly. You will need three dlls, which can be found here. These will have to be in the same folder as JRLEditor, OR you can follow the instructions in the DLL link. This will work for all of my tools. 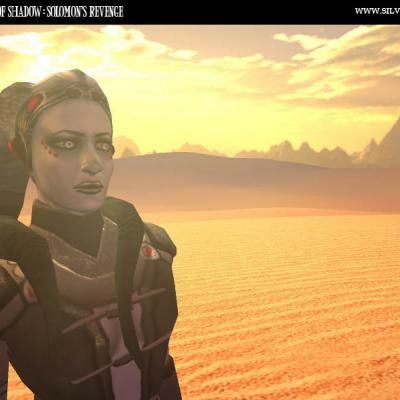 the Old Republic and it's sequel, Knights of the Old Republic 2: The Sith Lords. should be spawned every time the module is entered, without conditions. -Edit the shape of the object's "pressure plate"/"activation zone"
To begin using GITEdit, you first have to open a .git file. You can browse for one by using the File Tree in the lefthand-pane, or by using the button. regardless of whether it's in a .mod or .rim or in the override folder. .rims, and .git files and add them to the tree. the File Tree and then the path itself, which you can use the "..." button to select. added to their respective sections in the pane on the lower-righthand side. Upon selecting an item, an interface appropriate to the type is created. In essence, this tool will read a binary .wok file (KotOR's collision map data file) and will draw the faces according to the type of surface they're identified with. These colors correspond to the NWMax plugin, for those familiar with KotOR modelling to relate a bit with the program. 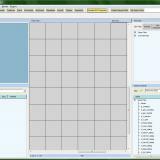 An example of a very good use of the tool is for reskinning one of the game's modules. Take the Rakata structures, for instance. Say someone wants to reskin them into a metal fortress, but they keep hearing sand crunch under their feet. With WalkSwitch, you could change the type to metal instead of sand, and the game would then play the proper sounds for the fortress. Well, I'm back with another modding tool! ZM90: Letting me code the tool while working on K1R. Varsity Puppet: Critique and banter concerning the tool. HarIII: Critique and banter concerning the tool. Malkior: The AMAZING icon he made for the tool! JRLEdit allows you to quickly and easily edit the .jrl files used by the KotOR games. This file controls the Player's quests, and so is often modded with large projects. With JRLEdit, you have the quests in an organized list, and can delete certain parts with the click of a mouse, or open up the interface when you click on a quest. The interface allows right-click editing of most fields, and will parse TLK String References automatically with the current game's dialog.tlk file. This simple set of commandline tools will allow you to convert a .tlk file to .txt, with some simple formatting, and back again, with ease. 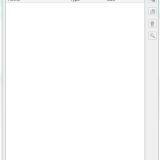 It will allow you to simply edit a dialog.tlk file with Notepad(or any other text program), which opens up options for copy-and-paste, replace, and finding certain info quickly. The tool has been confirmed to work with languages other than English, so no worries. Hello guys! How ya been? Everything okay on the forums? Glad to hear it, because this is the only way I can contact you guys. EDIT: I finally ironed out the issues that I was having, so now it will actually work. I thought that might be a little important. Thanks for reading and enjoy the mod, guys! EDIT(as of 10/27/2012):This is version 2.0, complete with fixes. You should now use the Portal Band for moving around in a module, and the Mod Warper Band for moving between modules, though it's a little buggy. Just run the .exe to install the mod. Read the 'Issue.txt' file. I did manage to fix the issues of wrong warp placement, and the probably-unnoticed glitch up when a dead party member was involved. My patience for doing such an endeavor solo, since I can't get on the boards to ask you guys for help. Many headaches with this one. You have the given right to modify these files any way you wish, for personal or public use, but if for public use please contact me to let me know ahead of time and to see what's been changed. Disregard this requirement after 4/30/2060.